KAMPAI Lawrenceville-Snellville is the newest branch opened in early 2010. Using the other branches as inspiration, the new concepts of KAMPAI Lawrenceville-Snellville are 'the modern fusion' and 'a tapas Japanese restaurants'. Especially, It's sushi and hibach give upgraded pleasure to customers. 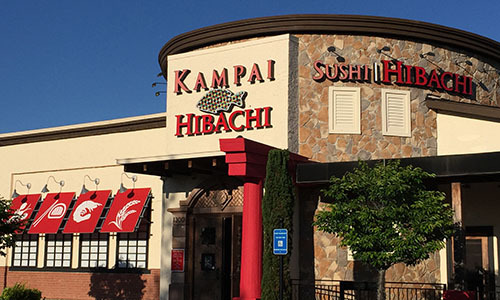 KAMPAI Lawrenceville-Snellville offers the synergy between an inviting ambiance, mouth-watering food and superior customer service. © 2004~2019 Kampai Sushi 2019. All Rights Reserved.